Give yourself and your loved ones a Luxdentic Discount Card. With Luxdentic Discount Card you get a discount for each visit in our clinic. You can buy a Luxdentic Discount Card also for your family and friends! 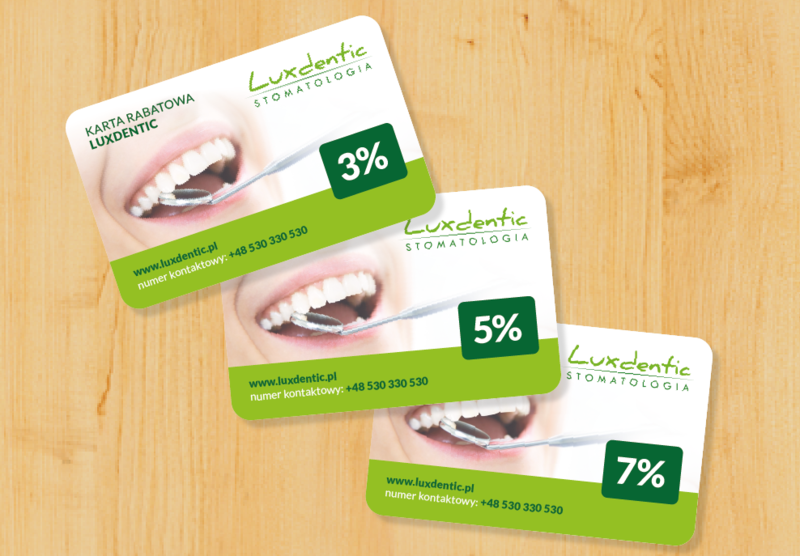 Luxdentic Discount Card is a package of attractive discounts for all dental services we provide! It is also an access to professional dental care in both our facilities in Warsaw – Ursynow and Praga Poludnie! More info about discount card available at the reception (+48) 530-330-530.